An ‘Onsen’, is a natural hot spring bath and is one of the most popular places to relax both the body and mind in Japan. As Japan is situated in a volcanic area, thousands of onsen are scattered throughout Japan are often best enjoyed out in the countryside.Most onsen across Japan contain minerals that are good to mitigate various kinds of diseases such as rheumatism and high blood pressure. 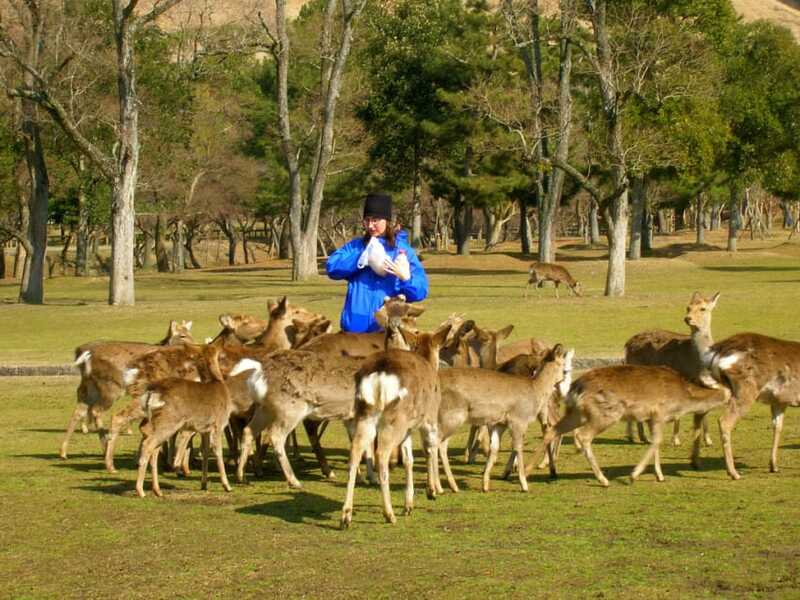 Some Japanese people consider drinking alcohol in a hot rotenburo while looking at nature to be a great heavenly pleasure. ‘Rotenburo’ is a word meaning outdoor bath and refers to outdoor onsen, which are very enjoyable and relaxing, especially when Japan has so much stunning natural scenery all around. 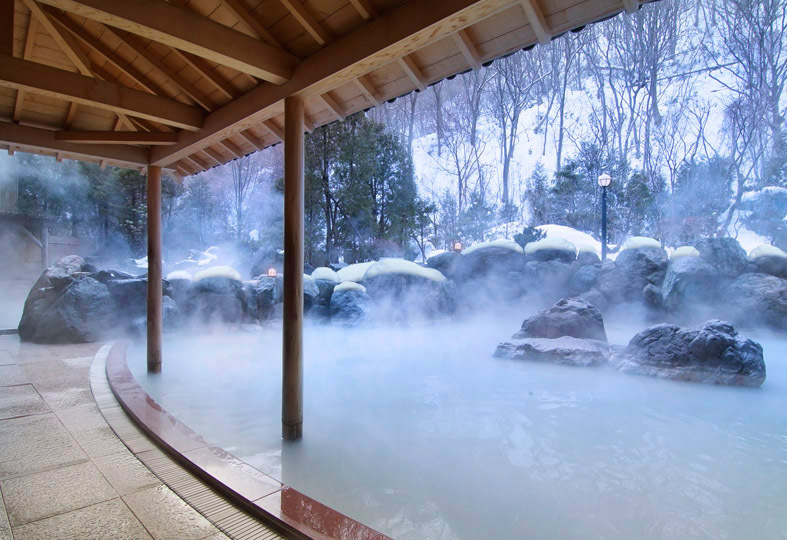 Every onsen area has different kinds of minerals that provide different types of medical benefits. There are many different types of onsen: open air or inside, colourless or coloured, public or private and also mixed gender or separate. 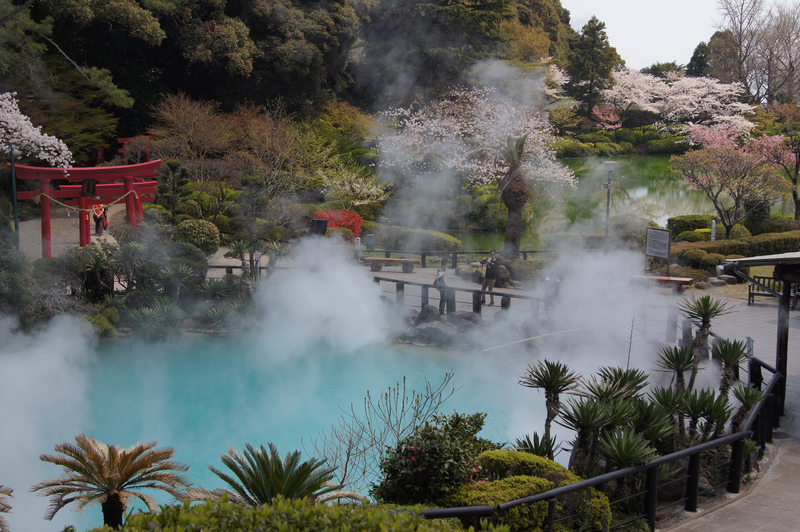 Beppu is one of the oldest and most famous hot spring towns in Japan located in Oita. 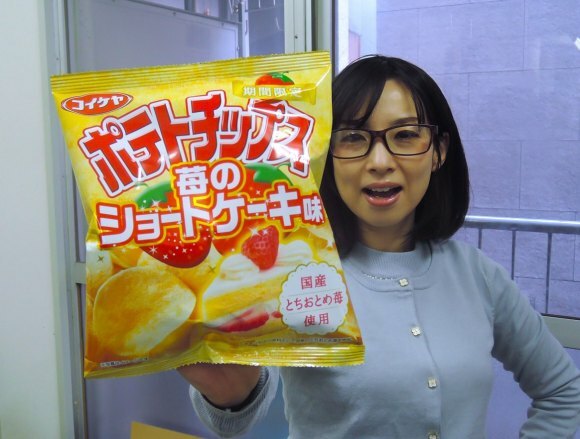 The town is situated between the mountains and Beppu Bay which ranks first in gush volume in Japan. 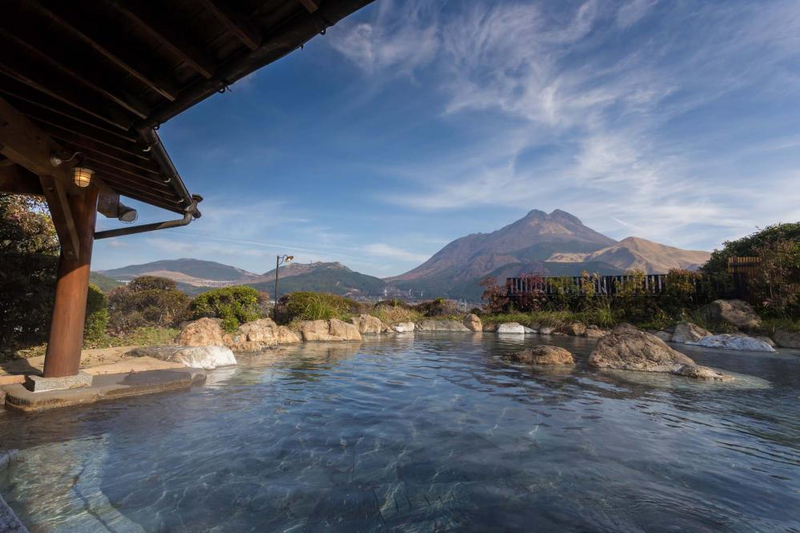 The Beppu hot springs consist of eight areas including Beppu, Myoban, Kannawa, Kankaiji and Hamawaki which are collectively called “Beppu Hatto”. Ginzan Onsen is an onsen area in Obanazawa, Yamagata Prefecture, Japan. Its name means “silver mine hot spring”. 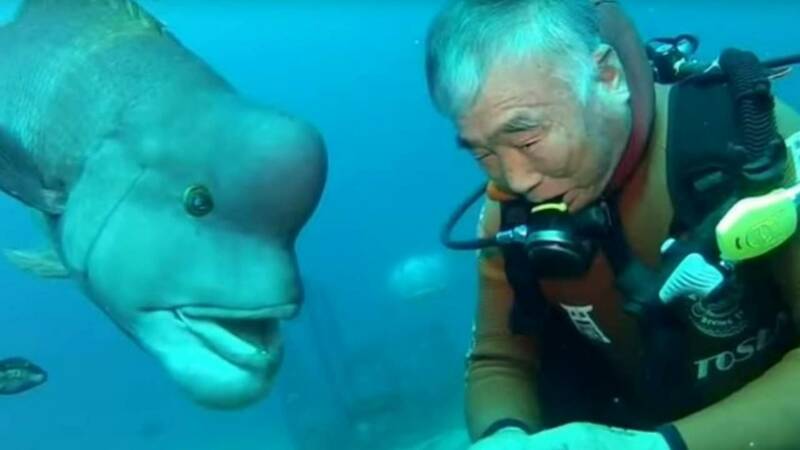 It became nationally famous as the setting for the television drama Oshin. 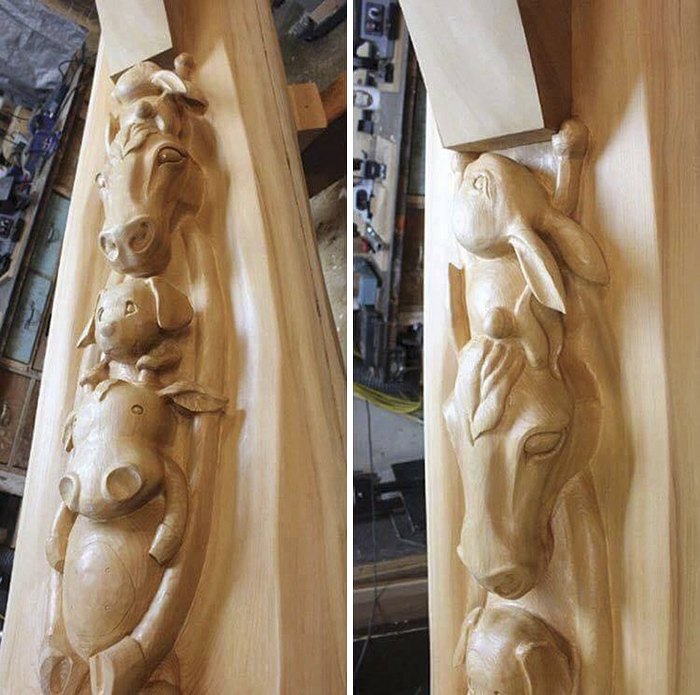 Fossils from the Miocene era have been found in the vicinity. Onsen is one of the most charming small hot spring towns in the north-west of the Kumamoto prefecture between the Kuju Mountain range and Mount Aso. 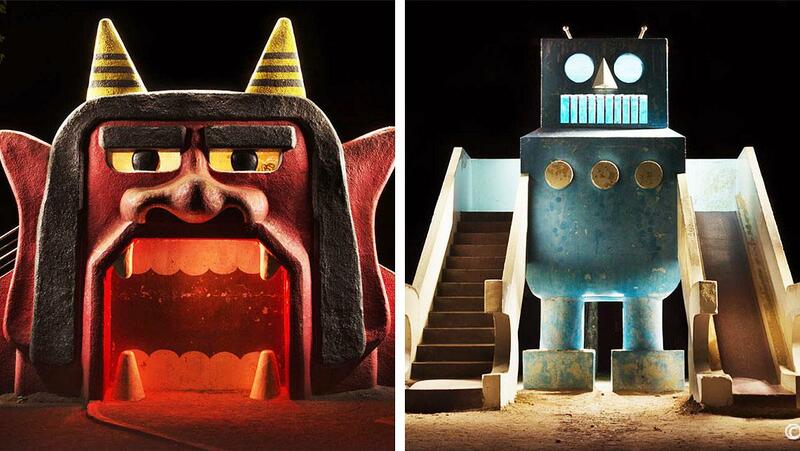 There are no high-rise hotels or neon advertisements in this area. 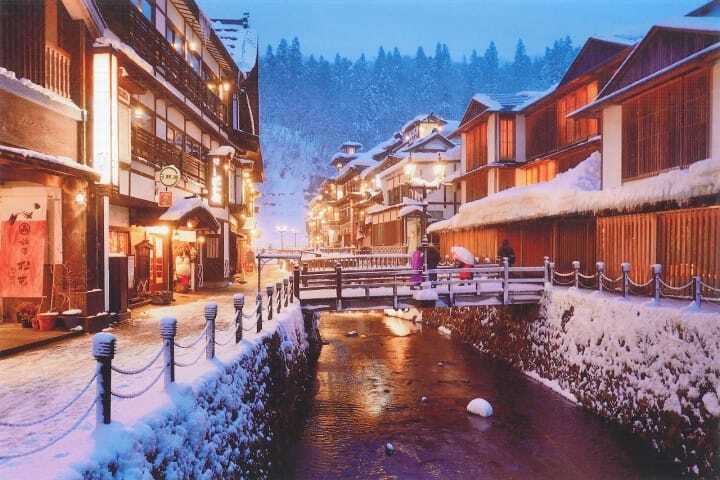 The town is well-maintained under a preservation project which accounts for its nostalgic atmosphere.The Kurokawa onsen operates a system of “Nyuto Tegata” – a multiple onsen entry pass valid for six-months (price: JPY1300). 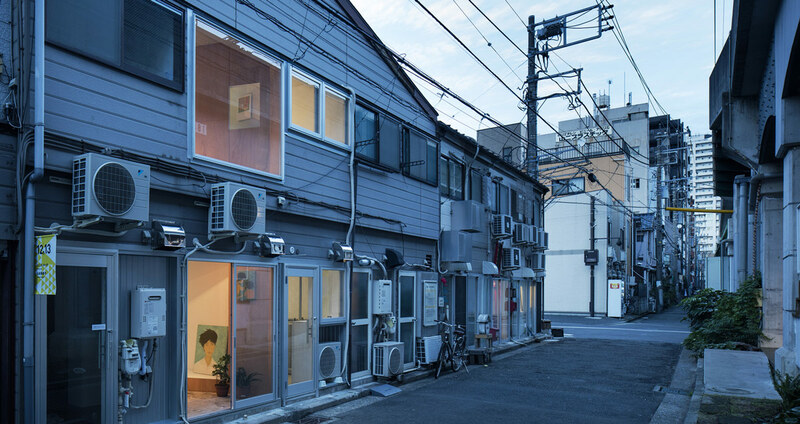 You have a choice of three open air baths at 24 different ryokans. 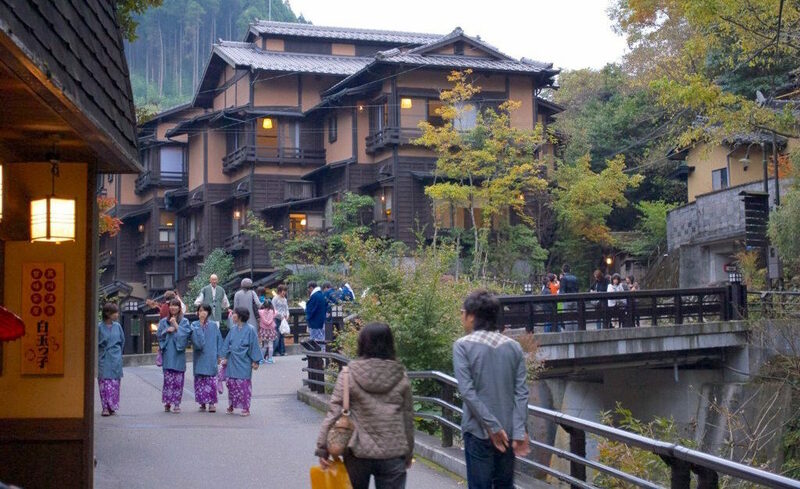 A ‘Yumeguri Tegata’ (onsen pass) costs 1,300 yen and includes entry to three ryokan’s onsen of your choice. 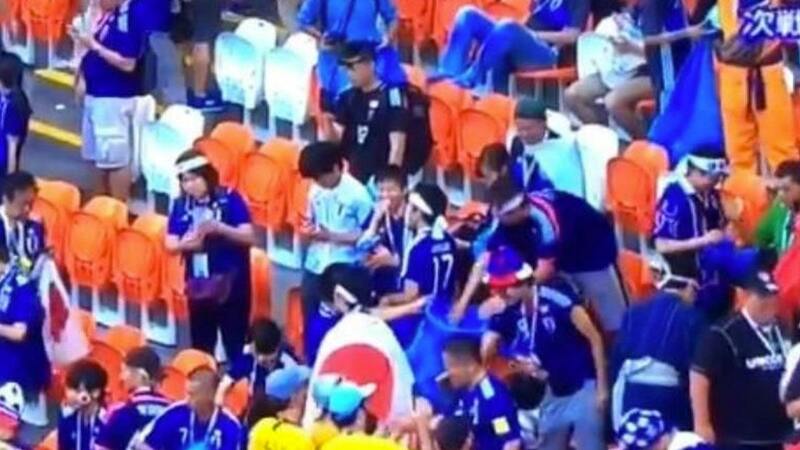 The pass is available at the information centre outside JR Gero station or at participating ryokans. 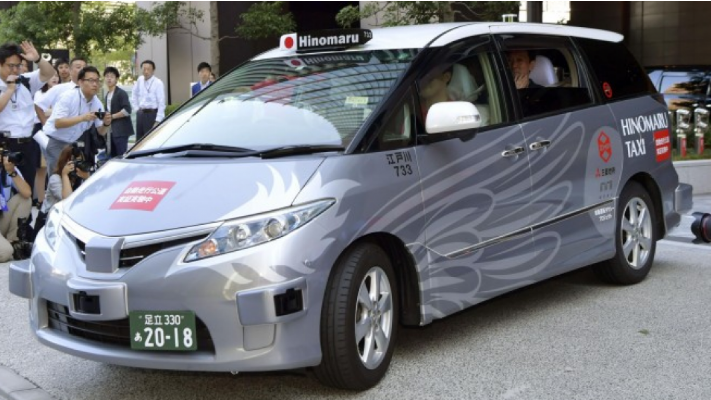 The world class large capacity open spa is located on Osenkaku and upstream of Tonaegawa. 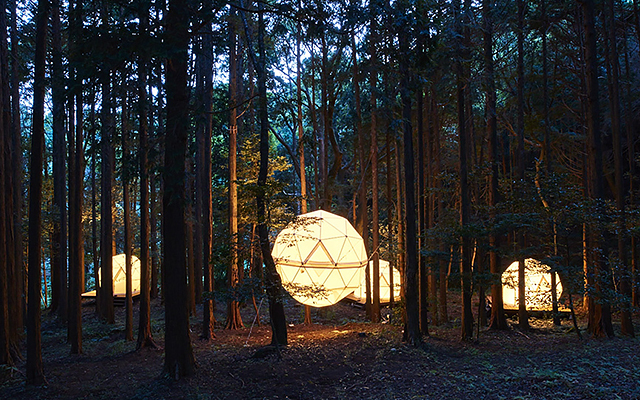 It follows the stream of Takaraga into the beautiful lodging inside the great nature. It is a hidden hot spa in Gunma, but traffic of people is endless due to television and magazine advertisements. Kusatsu Onsen boasts the biggest amount of natural water flow out of all of the onsens across Japan. More than 32,300 liters of spring water gushes out every minute. 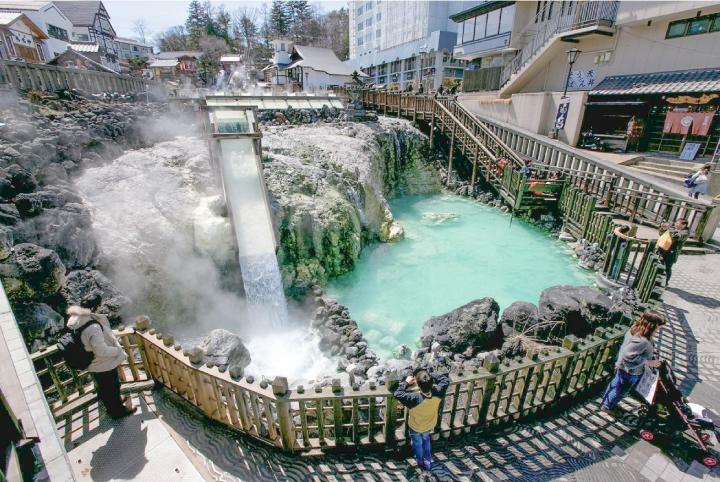 It is thanks to this incredible volume of water that the inns and spa facilities in Kusatsu enjoy free flowing spring water. The onsen water is good to kill germs and heal muscle fatigue. Kusatsu Onsen has long been a favorite place for people to relax and refresh; touristic events are held regularly in the town of Kusatsu, such as “Yumomi (湯もみ)” the girls’ hot water mixing performance. 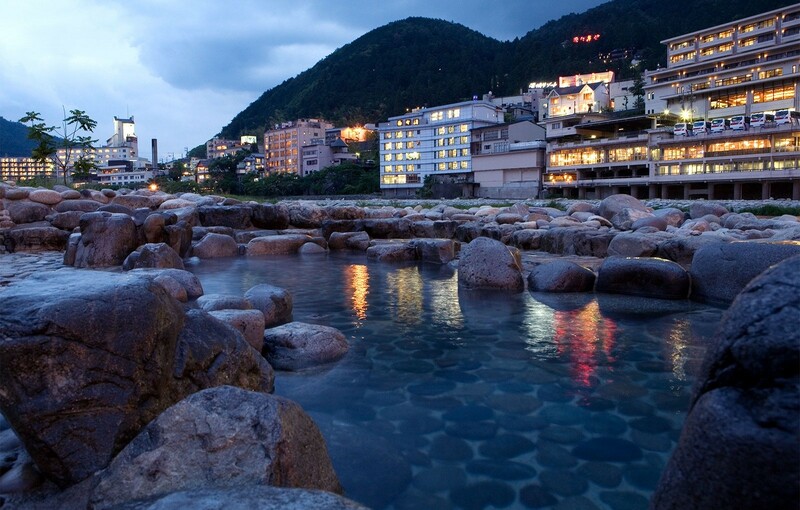 Shirahama Onsen is one of the most famous spa resorts in Japan. 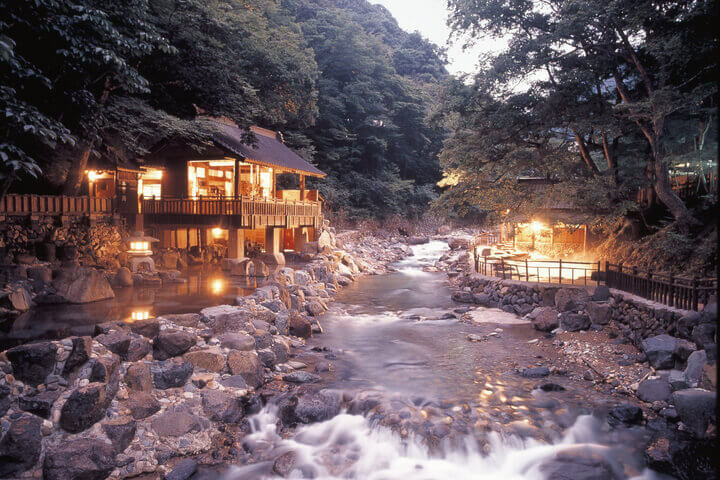 This onsen is perfect for nature lovers because outdoor onsen are surrounded by green trees and fresh air. 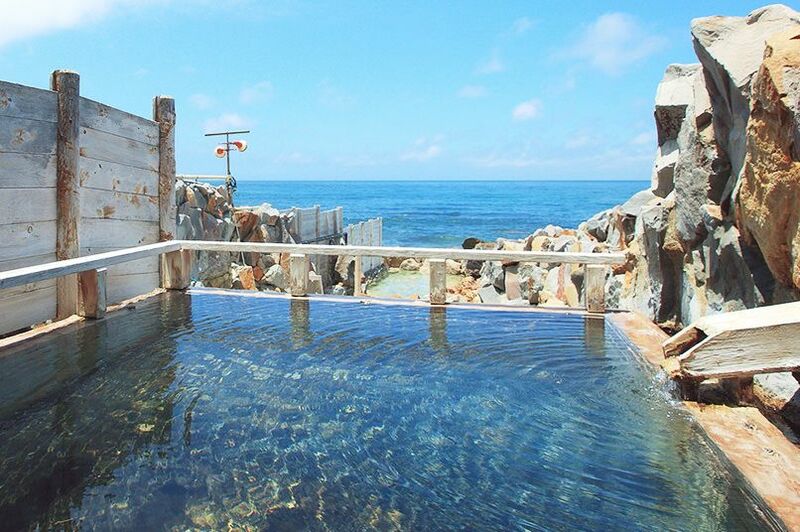 Onsen close to the ocean provide a breathtaking panorama of the sea. Onsen in ryokan and hotels will allow you to spend a memorable time since the hospitality is good, and so is the quality of the food and spas. 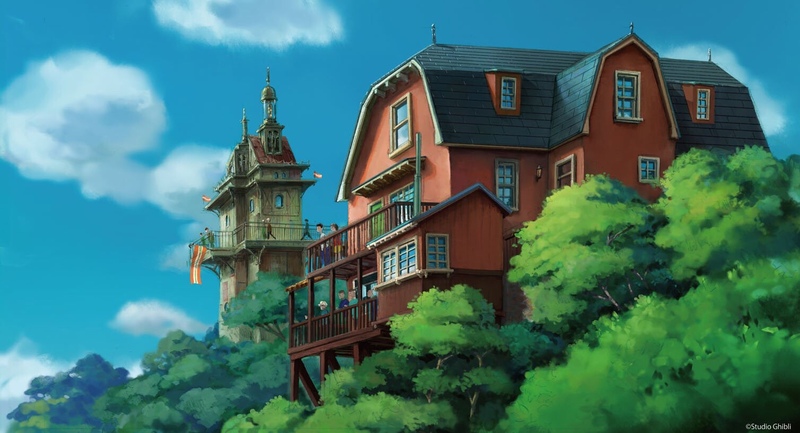 Walking around the the town is also fun and a good way to spend your time. 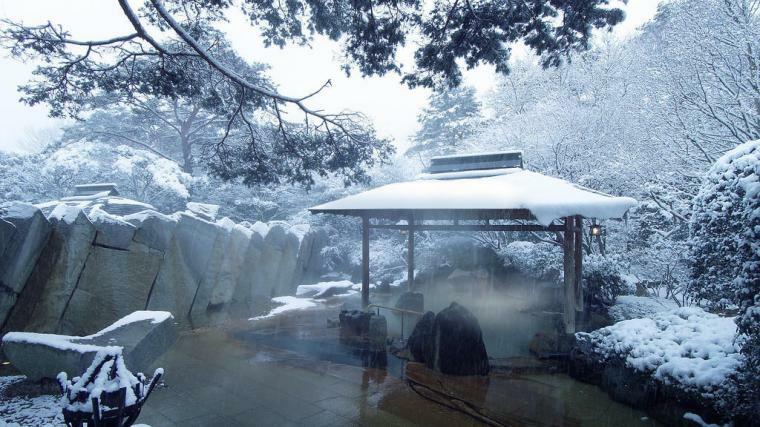 Akiu Onsen is located just a 30 minute drive away from Sendai, the capital of Miyagi prefecture. Due to the convenient location, Akiu has been one of the most popular resorts for onsen lovers since it can be enjoyed as a day trip. Together with Naruko and Iisaka Onsen, it is regarded as one of the three best onsen in the Tohoku region. Akiu Onsen is also a great place to go for nature with many scenic spots such as the Rairaikyo gorge, the Akiu waterfall, and the Futakuchi gorge.